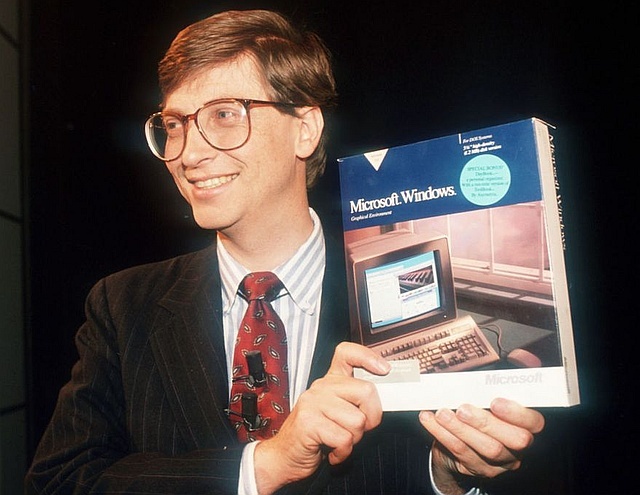 The world's most popular operating system was born on November 20th, 1985 and now controls more than 90 percent of the world's personal computer market. At the end of last week, Microsoft Windows turned 30. The company now known as "the Redmond giant" has been founded back in early April 1975, so it took them a decade to release the first Windows version. However, they had entered the operating systems business back in 1980, by launching the Unix-based Xenix. The same year, they purchased a CP/M clone called 86-DOS and branded it as MS-DOS. This was rebranded to PC DOS by IBM, but Microsoft retained ownership and quickly became the leader of the market. In 1984, Microsoft worked with IBM to launch OS/2 and, one year later, Microsoft Windows 1.0 has hit the market on November 20, as a graphical extension of MS-DOS. They relocated the corporate headquarters to Redmond in early 1986 and went public in mid-March of the same year. A decade later, Windows 95 became the first Windows version that no longer needed to run on top of MS-DOS, thus being a complete operating system. Today, Windows dominates the market for computers but has to face serious competition from Google Chrome OS and Mac OS X. In the mobile market, Windows has only about 3 percent, while Android dominates with over 80 percent shipments during the last year. Windows 10, the latest release of Microsoft's flagship product, is currently running on around 120 million devices.